President Tsai Ing-wen said Dec. 28 that state-run companies will help spearhead efforts to expand business ties with South and Southeast Asia under the New Southbound Policy, paving the way for Taiwan’s small and medium enterprises to capitalize on opportunities in the target regions. Tsai made the comments during a weekly meeting of the ruling Democratic Progressive Party’s Central Executive Committee focused on the New Southbound Policy. The president also serves as DPP chairperson. Minister without Portfolio Deng Chen-chung, who heads the Executive Yuan’s Office of Trade Negotiations, the agency responsible for coordinating the policy, attended the meeting to update committee members on the progress of the initiative. Deng said that several state-run enterprises are already exploring cooperative arrangements with businesses in the regions. 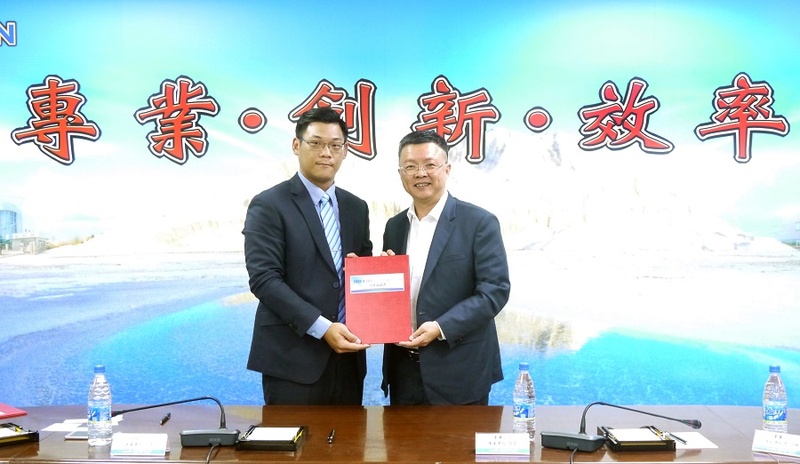 He cited as an example efforts by Taiyen Biotech Co., a majority government-owned former salt manufacturer headquartered in southern Taiwan’s Tainan City, to expand its operations in Southeast Asian countries including Indonesia and Thailand. In November, Taiyen signed a cooperation agreement with SaveMor International, a Thai cosmetics and health foods manufacturer and distributor. Company representatives also joined a Ministry of Economic Affairs-organized business delegation to Indonesia Dec. 15-17. Among the other state-run businesses actively exploring new opportunities in Southeast Asia is Taiwan Sugar Corp., one of the nation’s largest agricultural enterprises. The company, which operates subsidiaries in Vietnam, is working to establish sugar refineries in Indonesia and considering similar projects in Myanmar. A key plank of the president’s national development strategy, the New Southbound Policy seeks to deepen Taiwan’s links with Association of Southeast Asian Nations member states, six South Asian countries, Australia and New Zealand across diverse areas including agriculture, business, culture, education, tourism and trade.